If you are considering a Section 1031 Exchange or just want to find out more about how an exchange works, this is a good place to start learning. By no means is this information complete and in all cases you will want to consult with a professional tax adviser before you start an exchange. Section 1031 of the IRC code has many provisions that must be followed to execute a successful exchange. The following topics represent a subset of those provisions. We present them here to create a starting point in understanding the basic requirements of successfully executing a 1031 exchange and to present possible problems that could delay or disqualify an otherwise acceptable exchange scenario. As always, seek council early with your accountant and/or tax advisers. The property that you are giving up (the “Relinquished Property”) must be used in your trade/business or held for investment, and not for personal use. The property which you plan to acquire (the “Replacement Property”) must also be used in your trade/business or held for investment, and not acquired for personal use. The Relinquished Property and the Replacement Property must not be inventory, or other property which is held primarily for resale in the ordinary course of business (“dealer property”). In order for the exchange to be 100% tax-deferred, the purchase price of the Replacement Property must equal or exceed the selling price of the Relinquished Property, and you must not receive cash at the closing of the Relinquished Property. Any cash or other “unlike-kind” property received in the exchange is named “boot” and may result in a taxable gain. “Old” debt must be replaced with “new” debt or “new” cash. Boot received may not be fully taxable if the amount of boot received is less than the gain realized on the transaction or if some law otherwise exempts the gain from taxation. While possible in some cases for a minimal period of time, seller financing makes the transaction more complicated and in many cases impossible. The sales proceeds of the Relinquished Property must not be actually or constructively received by you before the purchase of the Replacement Property. The Intermediary must hold these funds to avoid “constructive receipt” issues. Furniture, equipment, some livestock and other personal property transferred with the Relinquished Property or the Replacement Property is not “like kind” to real property, and will be treated as boot unless your Replacement Property also includes “like kind” furniture, equipment, or other personal property. If it is treated as boot, then you must pay tax on its value. Title to the Replacement Property must be taken by the identical owner of the Relinquished Property. For example, if John Smith sells Relinquished Property in the exchange, then John Smith must take title to the Replacement Property, rather than his partnership, corporation, trust, or his son/daughter. The replacement property should be acquired with the intent to hold. A disposition within a year or two after receipt may call into question the intent to hold. 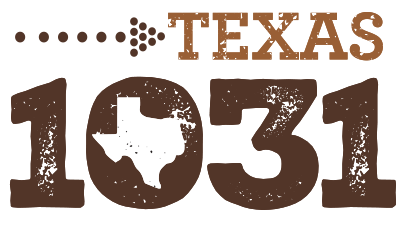 The Texas 1031 Exchange Company serves as the Intermediary in the exchange, and does not practice accounting or law. You must rely on the advice and counsel of your tax adviser and/or attorney for this exchange transaction. You must write a letter which identifies all of the potential replacement properties to The Texas 1031 Exchange Company or a suitable party to the transaction within 45 days following the transfer of the Relinquished Property. Purchase of the Replacement Property must be completed within 180 days following the transfer of the Relinquished Property. The law allows few extensions (disaster or combat zone service). Any property acquired as Replacement Property needs to be included in the 45 day identification letter discussed above. If you identify Replacement Property within the 45 – day identification period and then purchase some but not all of the property that you have identified without restrictions, then you must not withdraw any remaining funds from your exchange account until the 180-day exchange period is completed. Inappropriate withdrawal from the exchange account destroys the transaction. Thus, to be safe, the funds must not be withdrawn until the expiration of the replacement period or until all eligible properties have been purchased. Repairs or improvements made to the Replacement Property after you receive title do not count as part of the cost of the Replacement Property for exchange purposes. If extensive repairs or improvements are necessary, and if you need the cost reflected as the Replacement Property, then the Replacement Property must be initially deeded to the Qualified Exchange Accommodation Title Holder until the repairs are completed. To be included in the exchange improvements must have been completed by the 180th day of the exchange. Prepaid materials or labor costs do not qualify. There are additional fees when improvements are made as part of the exchange. In regard to real property, “like-kind property” is defined as land and anything which is permanently attached to the land. For example, a ranch can be exchanged for a motel, office building, or shopping center. The fair market value of the furniture in the office building you receive is not “like-kind”, but rather is considered “boot” received. You will pay tax on the fair market value of the furniture received unless you also do a separate Personal Property exchange by purchasing “like-kind” furniture. You must report a tax-deferred exchange to the Internal Revenue Service using IRS Form 8824 (Like-Kind Exchanges), with your Federal income tax return for the tax year in which you sell the Relinquished Property. You must acquire your Replacement Property before you file this income tax return. Therefore, if you have not acquired your Replacement Property by the filing date for that tax year (March 15 or April 15 for calendar year taxpayers), then you must apply for an extension to file for the tax year in which you sold the Relinquished Property. In most cases you cannot purchase Replacement Property from a “related party” (family member or controlled corporation, partnership, or trust) as that term is defined by the Internal Revenue Code. Please contact us or your tax adviser for more information if this term applies to your transaction. The above information is not tax or legal advice but presented for your information and consideration. Please consult your tax or legal adviser for questions related to completing your 1031 exchange.